Upside Motion - Pilates, Xtend Barre, Aerial, Yoga | Do You Even Pilates, Bro? Do You Even Pilates, Bro? When someone mentions to you about Pilates, what comes to mind? Personally, I see ladies dressed in neon-coloured tanks tops and tights, sweating it out on mats to an 80s synth pop playlist. Well, that’s where we all went wrong – or me, at least. Originally known as Contrology, Pilates was invented by this pretty cool dude called Joseph Pilates. Not only was he a gymnast, this man was a boxer, bodybuilder, circus-performer and self-defense trainer. He doesn’t just have a six-pack in his fridge, he had one hiding underneath his shirt! So guys, if you have been looking for an effective way to tone that body or even to get rid of some stubborn flab, lift no further! Here are 3 reasons why men should do Pilates. Naturally, some muscles are stronger than others, and these are the ones used in your daily movements. 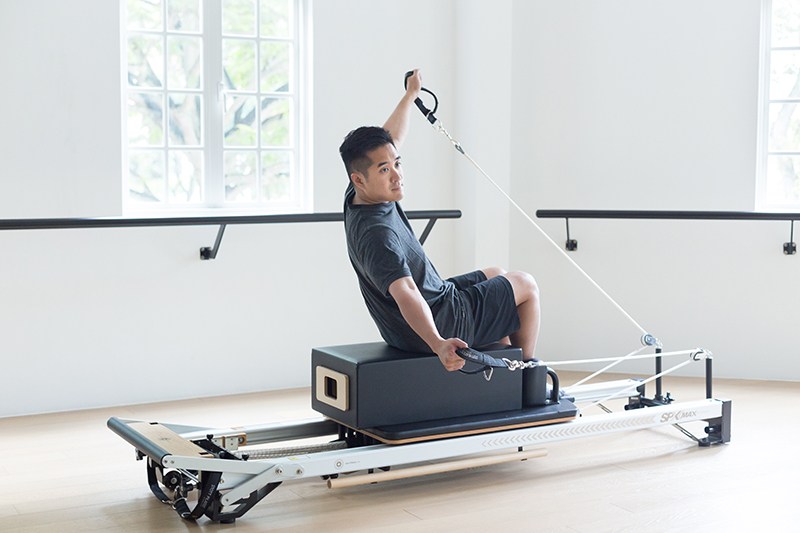 Pilates helps focus more on the muscles that don’t usually get much attention – even while hitting the gym! The average gym session targets the external and larger muscle groups – Pilates does so much more. Focusing on stretching, it engages the deeper and smaller muscle groups, thus developing a more strengthened core, stabilized spine and prevention of muscle strains. These are crucial in injury prevention. 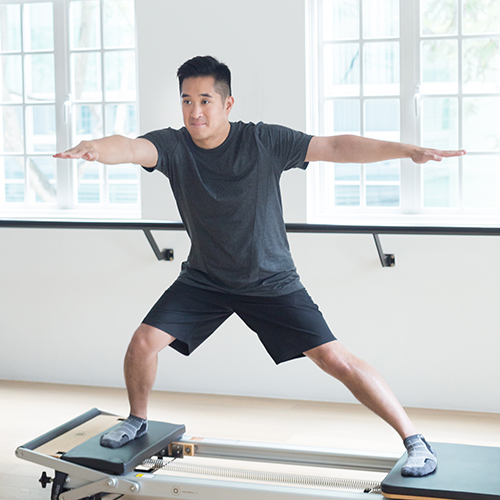 Constantly performing slow and controlled movements, Pilates requires you to hold poses that creates intense isometric contractions that your abs are not used to. This, in return, shocks these muscle groups and produces stunning new results!